A special Splatfest themed celebration is coming soon to Splatoon 2! Like with the past events, special clothing will be offered alongside specially decorated maps. 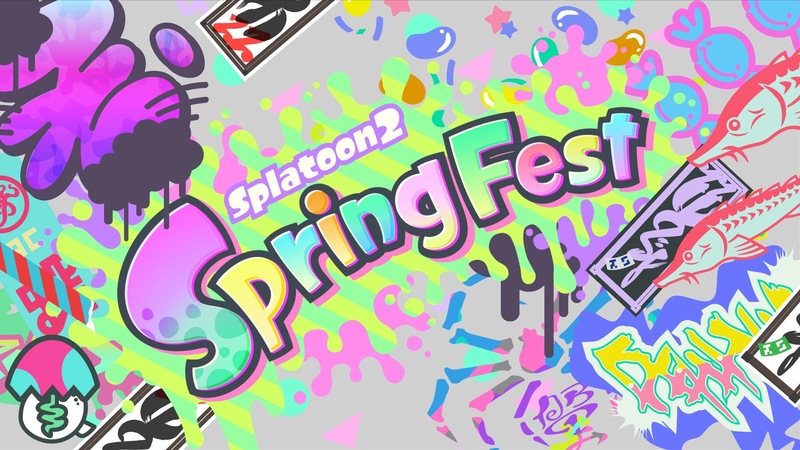 As the old saying goes, April Ink Storms bring May flowers, and that means Spring Fest is right around the corner! This special event is using the power of pastels to turn Inkopolis Square into a colorful hot spot! Battle it out in the 48-hour event from April 19th, 3:00pm PT to April 21st, 3:00pm PT. Along with this Splatfest, some spring-colored gear will be given out via the Squid Research Lab Report (Splatoon 2) News Channel on your Nintendo Switch system: Spring colored visors and colorful custom kicks with design supervision from Pearl and Marina!